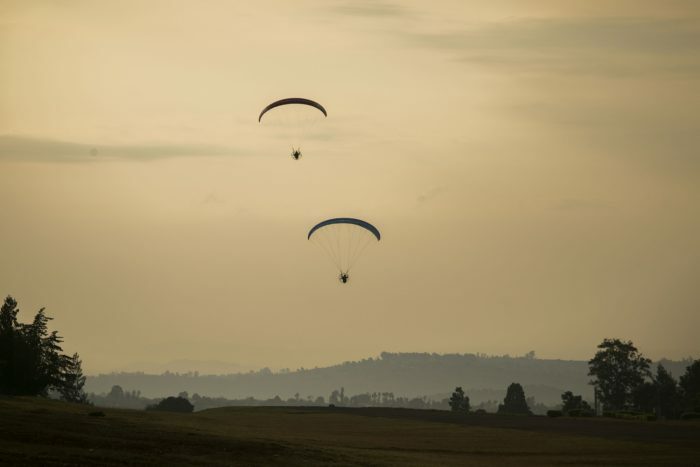 An epic circuit, taking in three national parks and Lake Kivu. See the Big Five, gorillas, chimpanzees and much more. 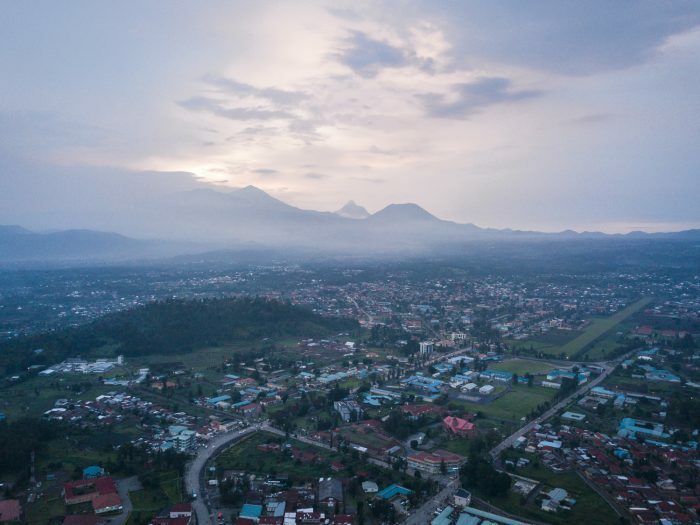 Arrive to Kigali early morning. 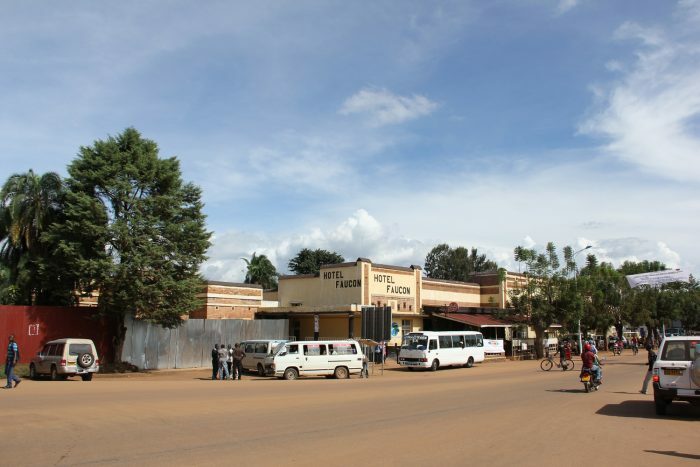 Drive from Kigali to Akagera National Park, a drive lasting around four or five hours. The journey is mainly on tarmacked good quality roads until the final section. 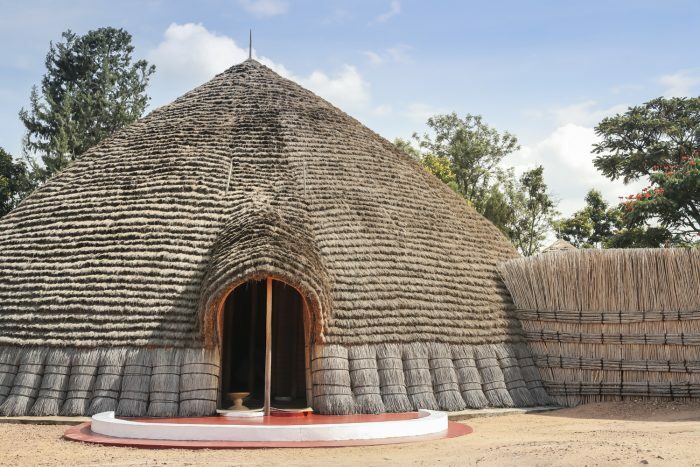 The 100,000-hectare Akagera National Park is situated in eastern Rwanda, bordering Tanzania, and has been managed by African Parks in partnership with the Rwanda Development Board since 2010. 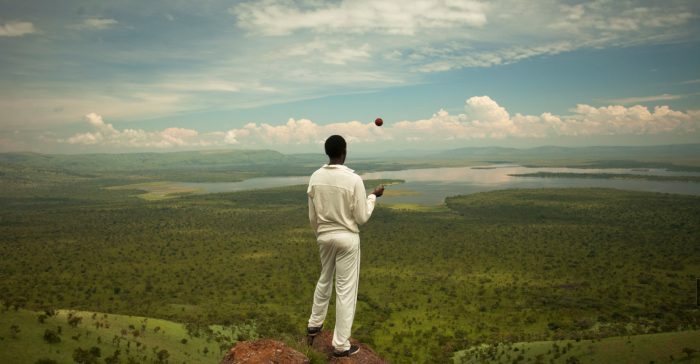 It comprises some of the most scenic savannah in East Africa – open plains, woodlands, lakes, swamp, and grassy low mountains. 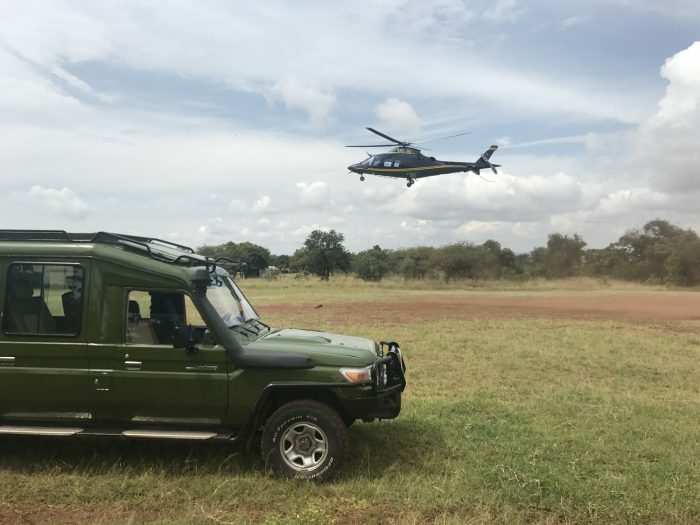 Akagera has undergone an incredible transformation in the last eight years where poaching has essentially been eliminated and wildlife is now thriving. 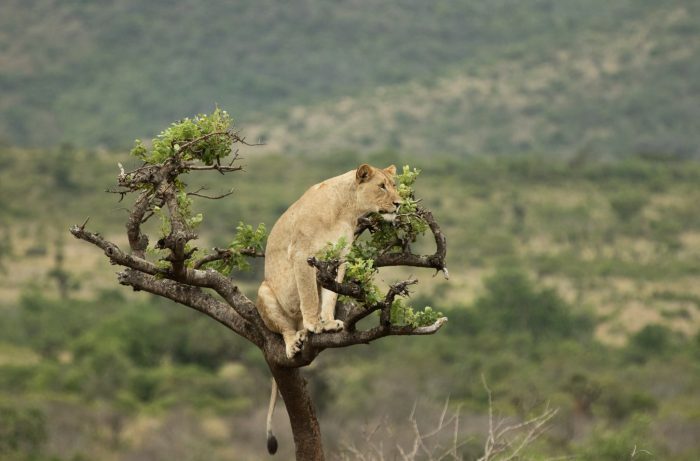 African Parks reintroduced lions in 2015 after a 20-year absence and reintroduced the black rhinoceros in 2017. 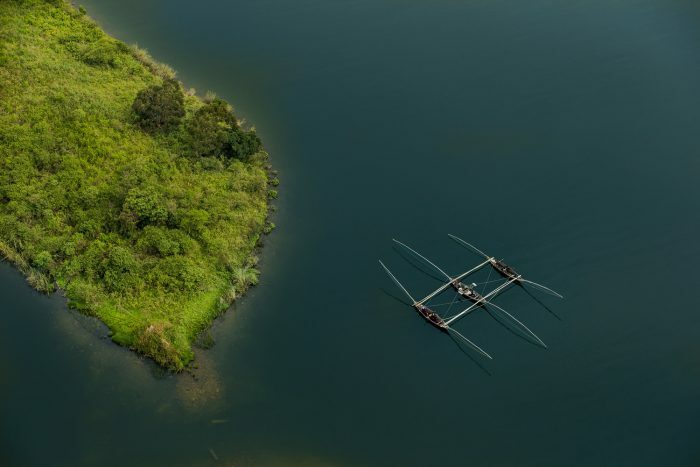 Enjoy an evening boat road across Lake Ihema spotting hippos and many different species of birds. Stay the night at a hotel in the park. Wake early to enjoy a full day safari game drive accompanied by an expert guide, driving through the incredible landscape of Akagera National Park. The varied landscape is shown through the different species spotted here. 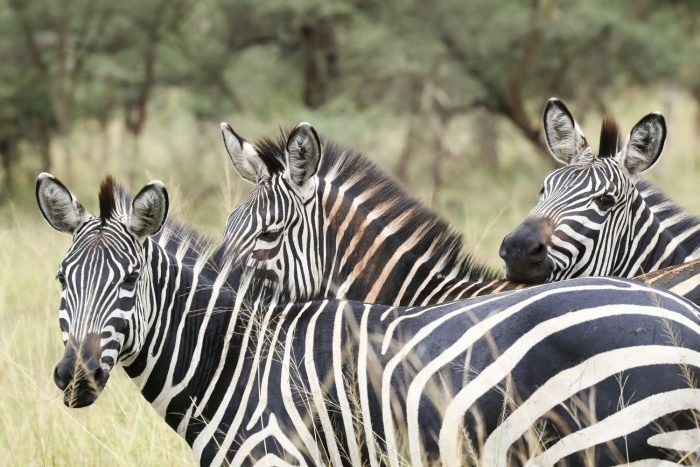 Visitors to the park will be able to view a range of wildlife on expertly-guided game drives, walks and boating trips, including buffalo, lion, leopard, elephant, giraffe, spotted hyena, zebra and more. The park also boasts almost 500 species of birds including the spectacular shoebill with its implausibly massive bill and the near-endemic red-faced barbet. Stay the night at the same hotel. Drive from Akagera National Park to Nyungwe Forest. 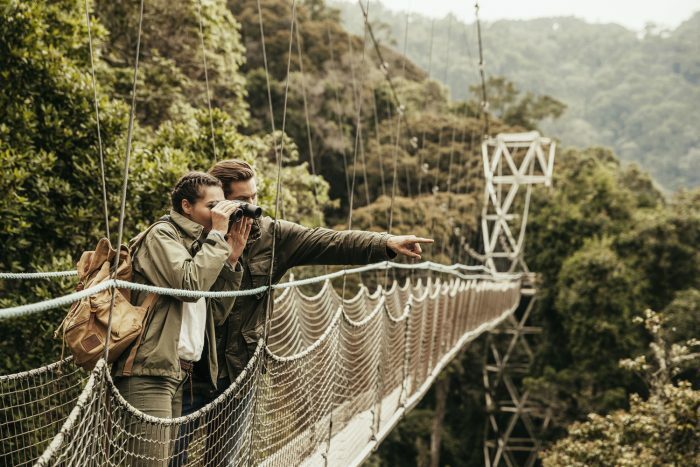 Covering over 1000 square kilometres, Nyungwe is surely one of the world’s most beautiful and pristine mountain rainforests. 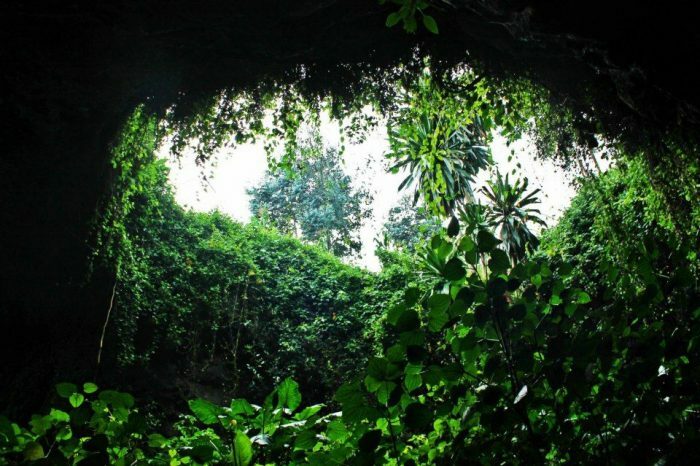 It’s believed to be one of Africa’s oldest forests, staying green even through the Ice Age, which explains its diversity. 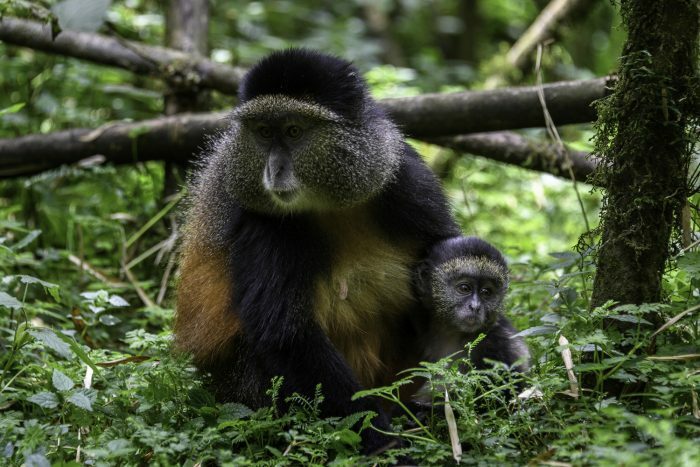 Home to habituated chimpanzees and 12 other primates species (including a 400-strong troop of habituated Ruwenzori Black & White Colobus), it’s also a birdwatcher’s paradise with over 300 species, including 16 endemics, and is home to 75 different species of mammal. 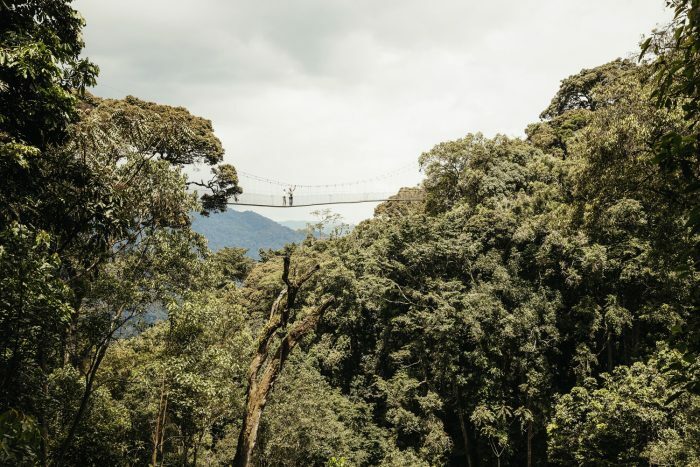 Experience the only canopy walk in East Africa before heading to your hotel. 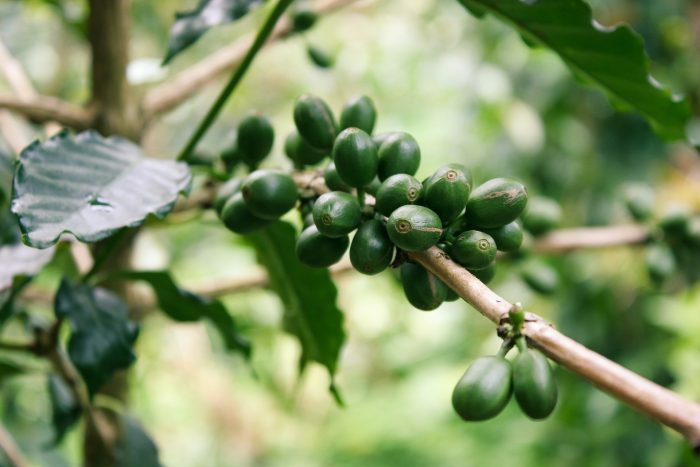 Wake up early to go chimpanzee tracking in the Nyungwe Forest. 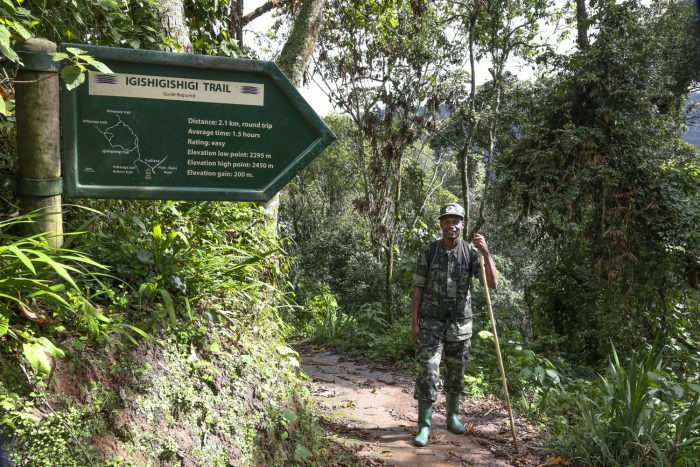 After a short briefing by your guide, walk through stunning tea plantations before entering the thick luscious forest. 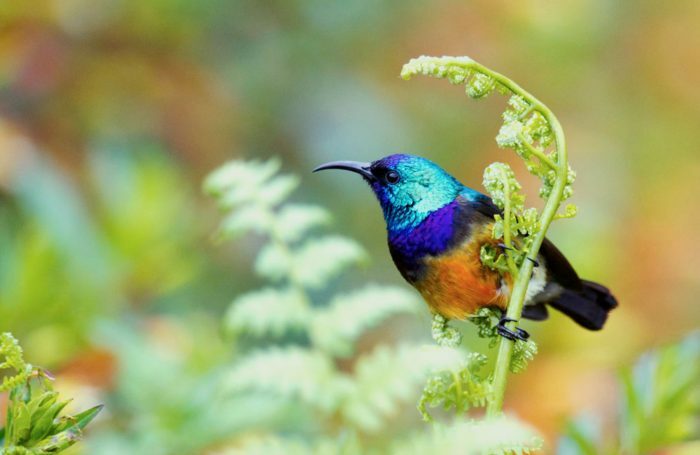 There are over 13 species of monkey found in the forest and excellent birding opportunities with over 100 species of butterflies and the occasional chameleon. The excursion can last from one to four hours but you will definitely hear the chimpanzees from the moment you enter the forest. 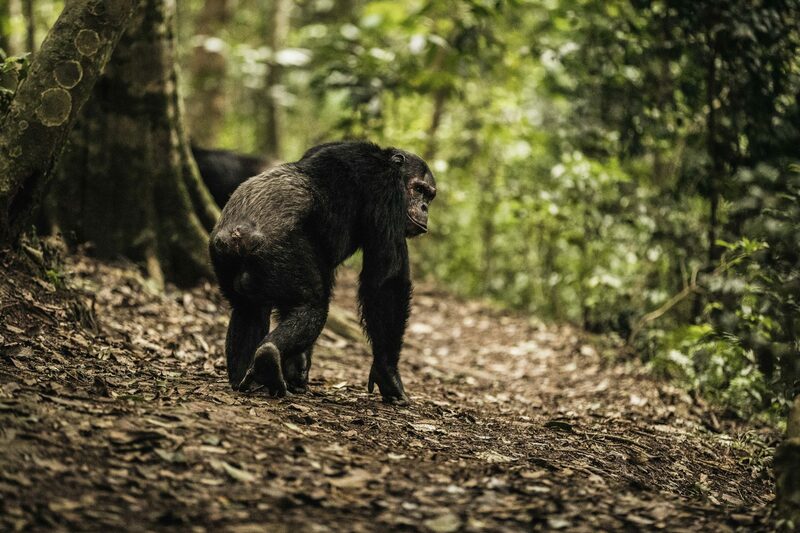 Once found you will stay for an hour with the chimpanzees, watching them play, fight and eat in the atmospheric forest. 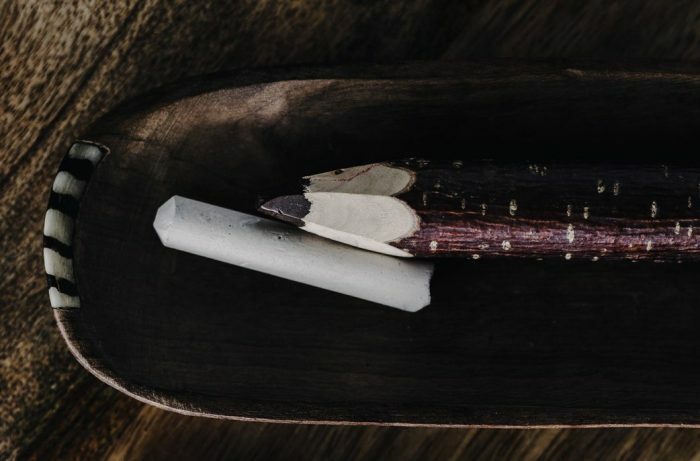 Return to your hotel to relax and refresh. 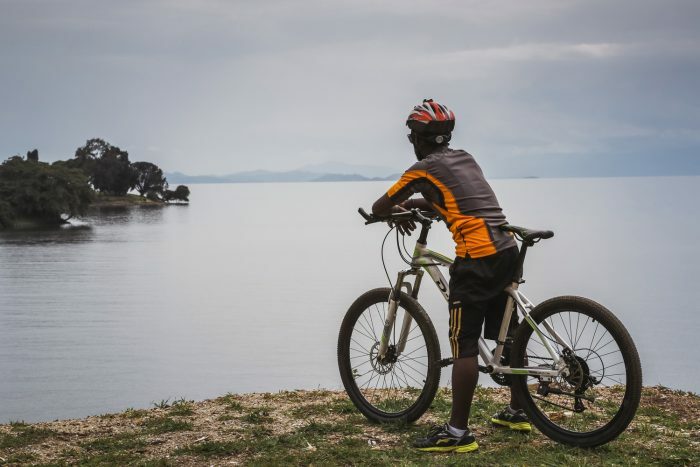 Transfer along the beautiful coastal road to Lake Kivu, Serena Hotel. 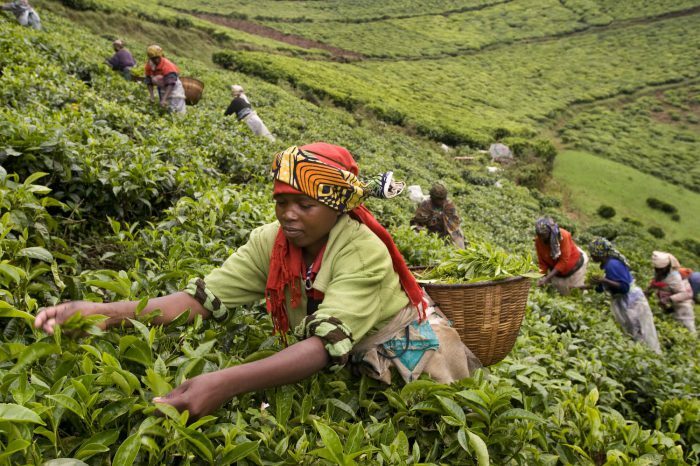 The drive lasts around three hours and offers some of Rwanda’s most beautiful scenery. 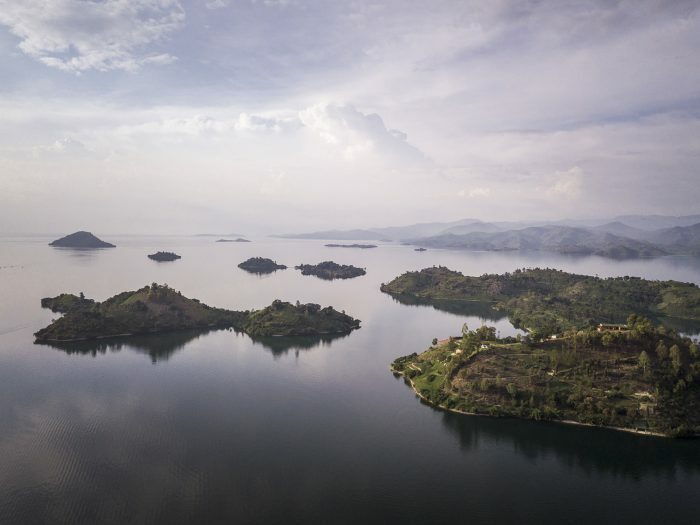 Look out over Lake Kivu’s hundred islands and beautiful shores. 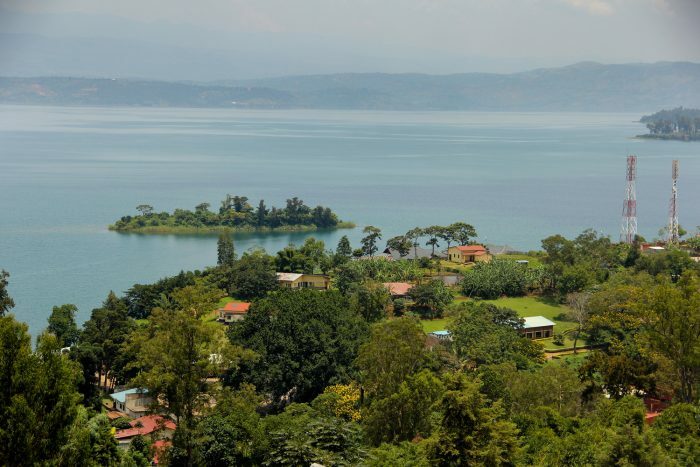 The Serena Hotel on the north shore of Lake Kivu provides beautiful views of the lake and the Congo region. Relax by kayaking and swimming in the lake. 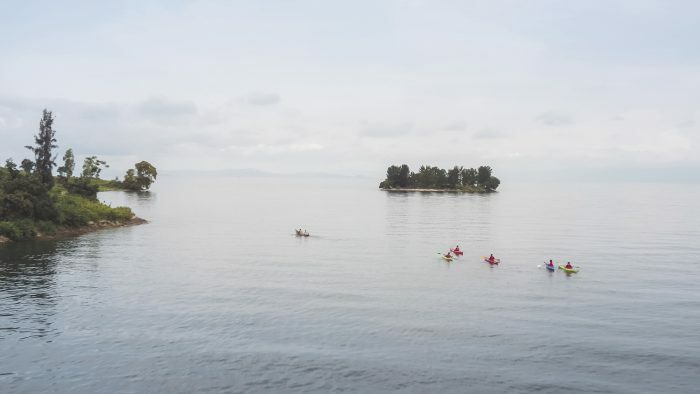 Kingfisher Journeys organise kayaking, canoeing and mountain biking opportunities around Lake Kivu and the surrounding areas. 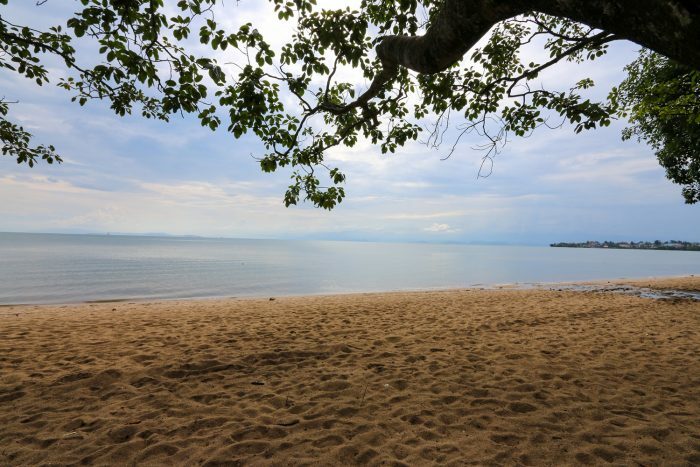 Spend the morning relaxing at the Lake before transferring to Volcanoes National Park in the afternoon. Relax at your hotel near Volcanoes National Park. 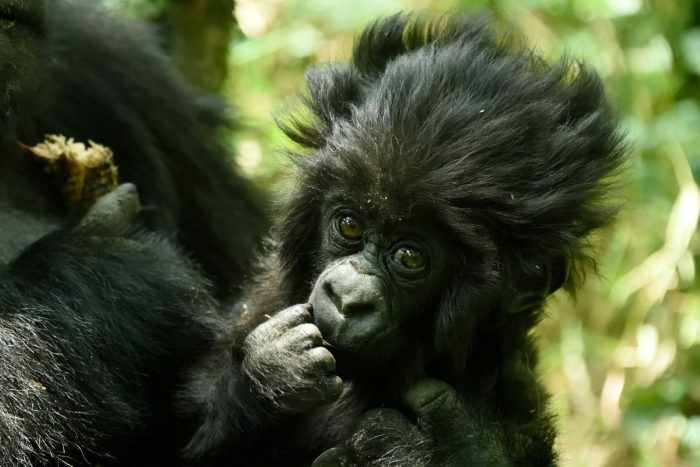 Gorilla tracking in Volcanoes National Park: Wake up at sunrise and drive the short journey to the park headquarters where briefing, porters and tea and coffee will be given before starting the adventure into the forest. Local ports can be arranged and help with the guide to complete the gorilla tracking experience. Tracking can be between 90 minutes and the whole morning depending on what family group is assigned. 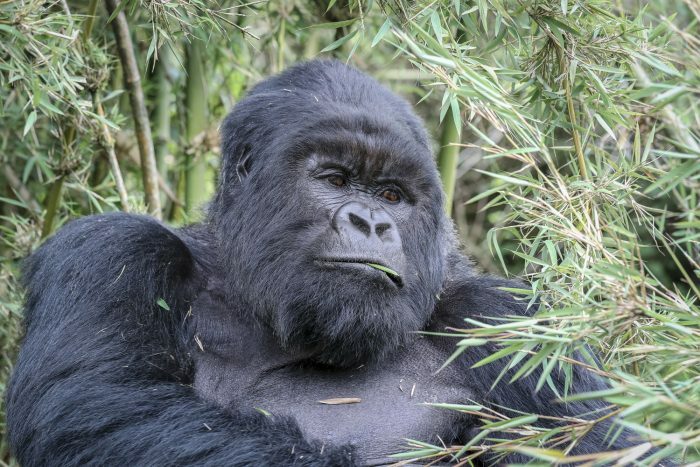 You will spend one hour with the gorillas – sometimes moving around to stay with the gorillas or following them. The guide will ensure you are in the best spots to take the most beautiful pictures and experience the breathtaking experience properly. Return to your hotel for relaxing evening and refreshments. 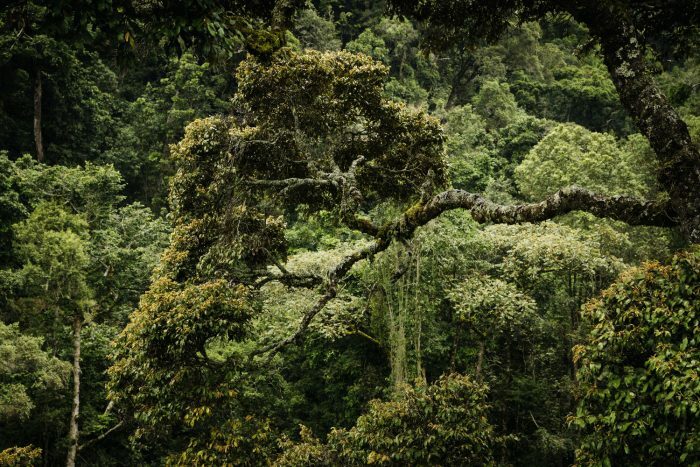 Golden monkey tracking: Hikes to see the smaller and nimbler monkeys are a fun and adventurous way to explore the forest. Named because of their bright orange bodies, they are indigenous to the region and more elusive than the gorillas and these fast-moving monkeys will certainly keep you on your toes. 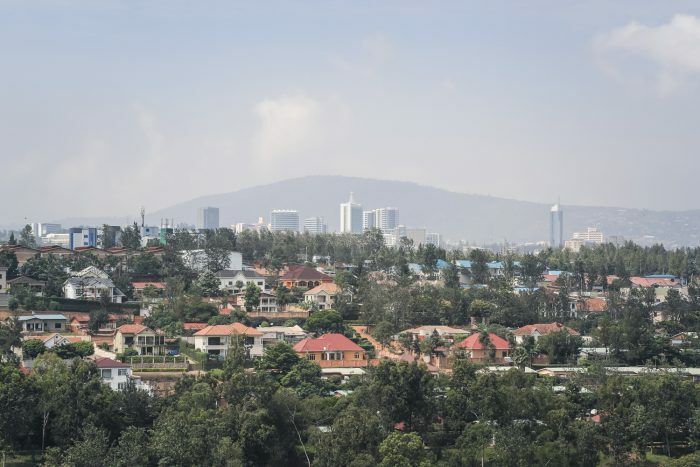 Return to your hotel to freshen up and light meal before returning to Kigali that afternoon. 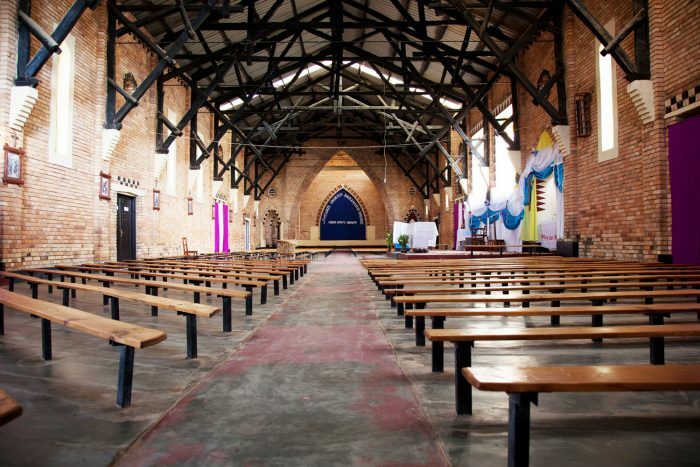 Spend the night at a hotel in Kigali and enjoy the hotel’s delicious food and offerings.